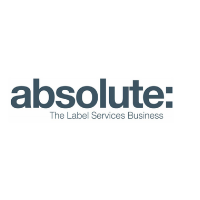 Established in 1998, Absolute Label Services is the label services business with a successful track record. We work directly with artists, managers and labels to provide everything you need to take your music to market. We offer fully managed services from digital and physical sales/distribution, to cutting edge marketing, to direct-to-consumer campaigns, promotional planning and all your administration needs. Our in-house marketing team will work with you to create and implement a bespoke campaign for budgets and releases of all sizes. We design release strategies for all genres across all platforms globally. Empowering Your Independence.